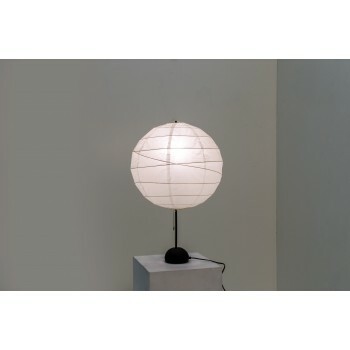 Isamu Noguchi, table lamp, Akari model, lacquered metal, paper globe, circa 1980, Japan. Measures: Height 70 cm, diameter 40 cm. 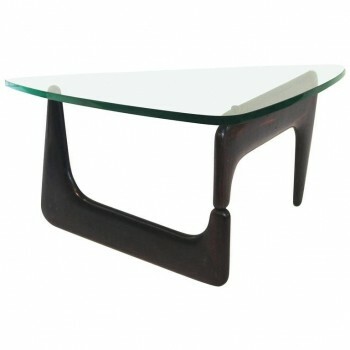 Isamu Noguchi for Herman Miller, "IN-50" coffee table, Glass tray and wooden base, circa 1960, USA. Measures: Height 41 cm, width 59 cm, depth 95 cm.